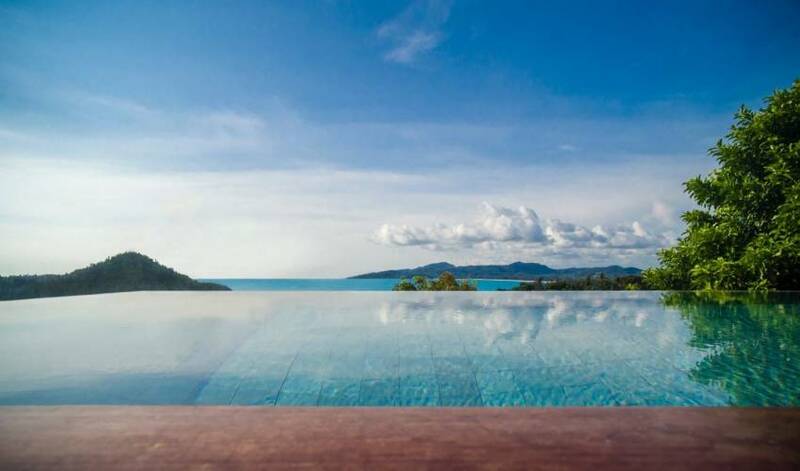 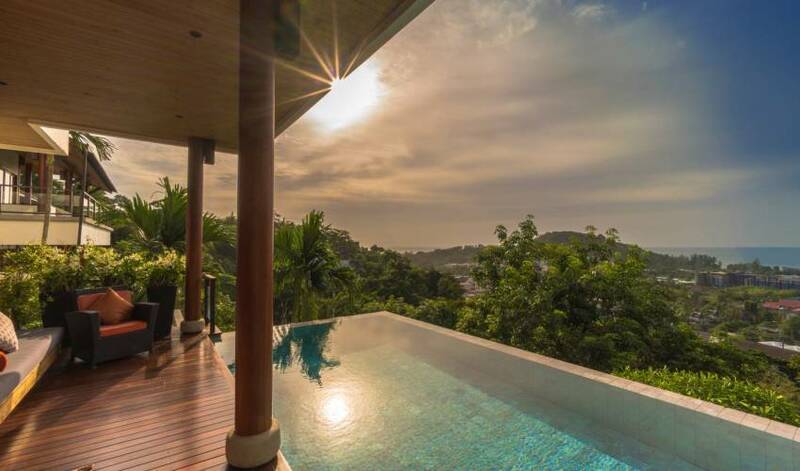 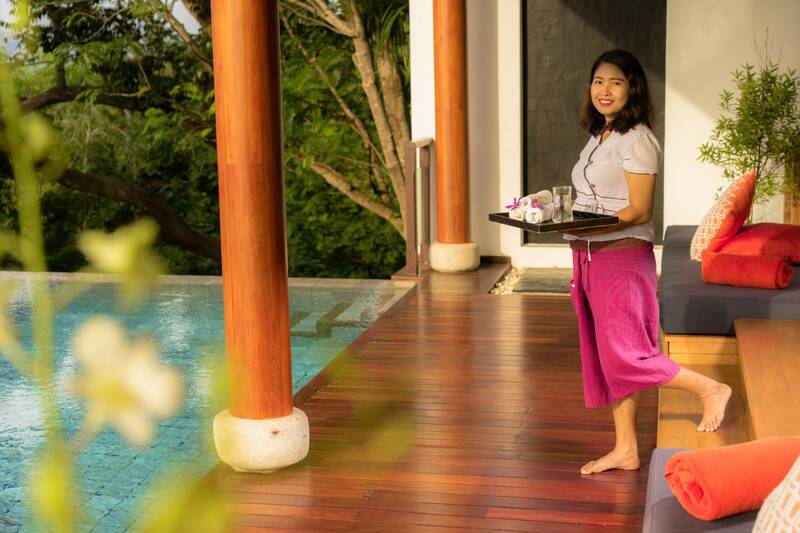 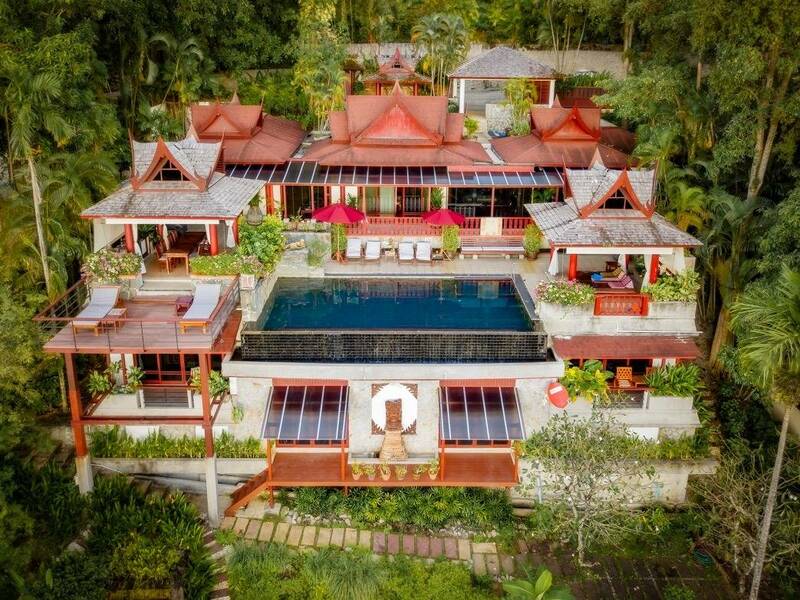 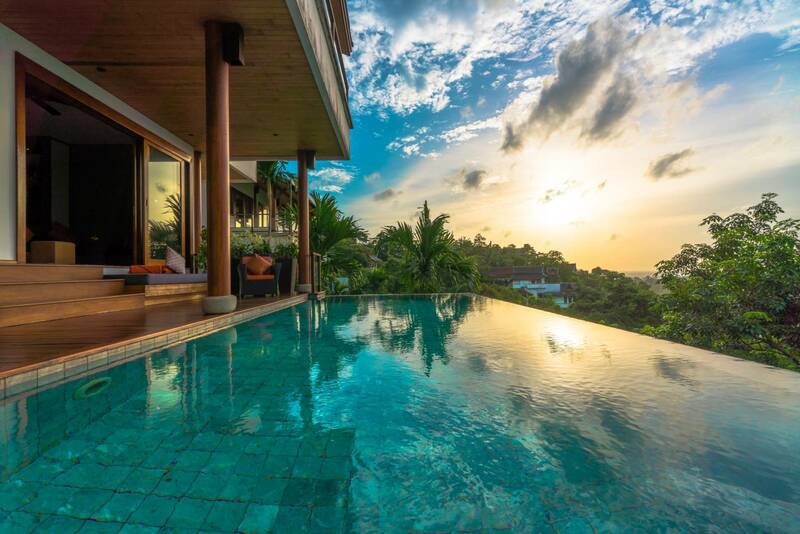 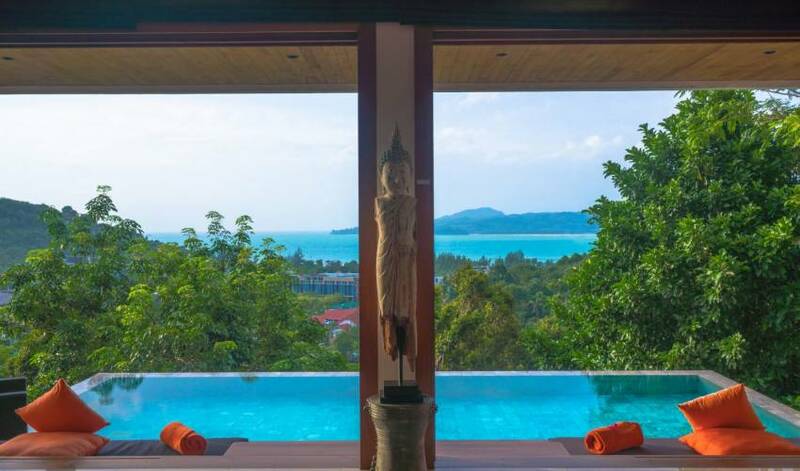 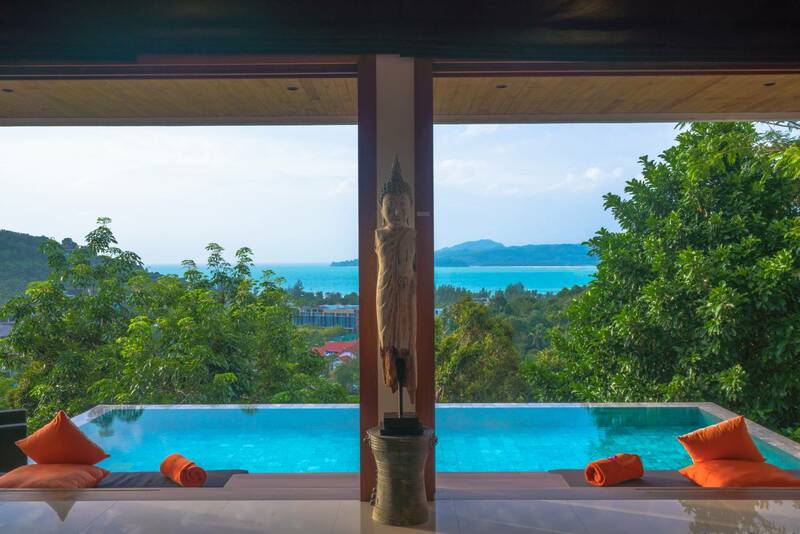 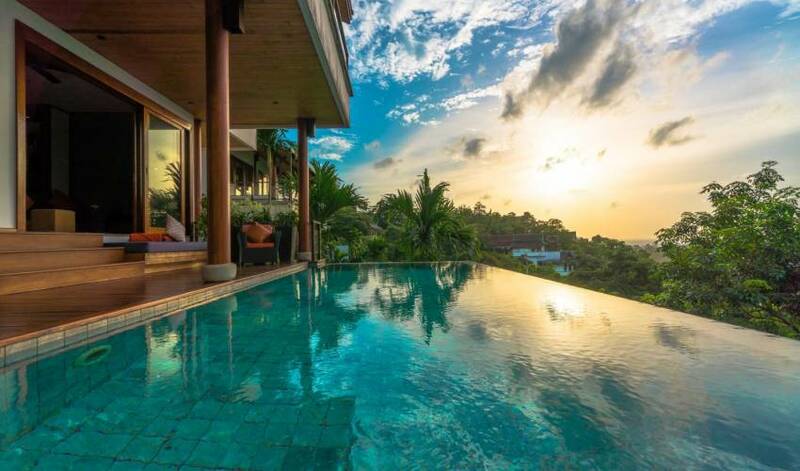 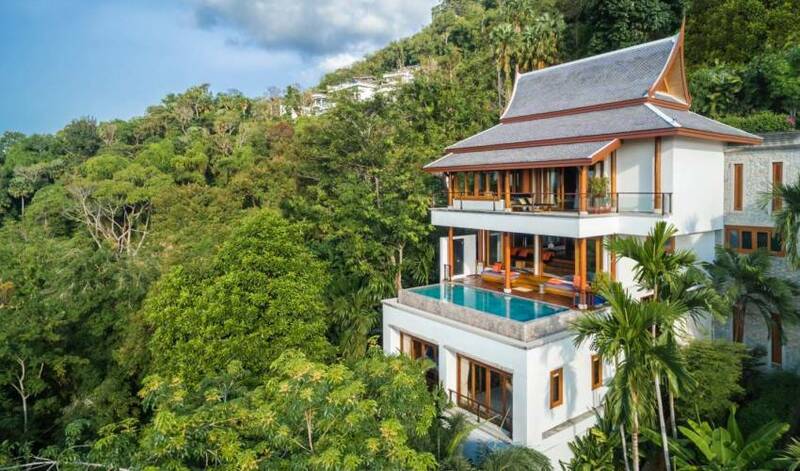 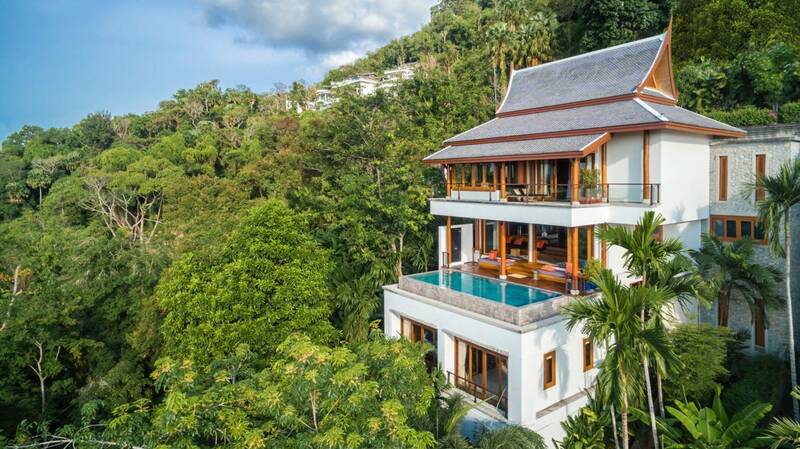 Nestled in the trees high above Surin Beach, this luxury privately owned Villa sits in prime position with stunning ocean views. 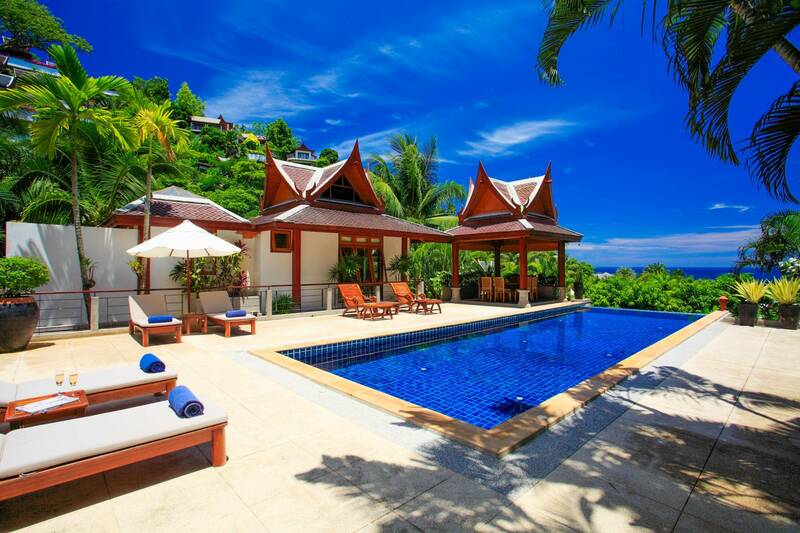 The villa comprises four levels, with a secluded master suite that takes up the whole top floor. 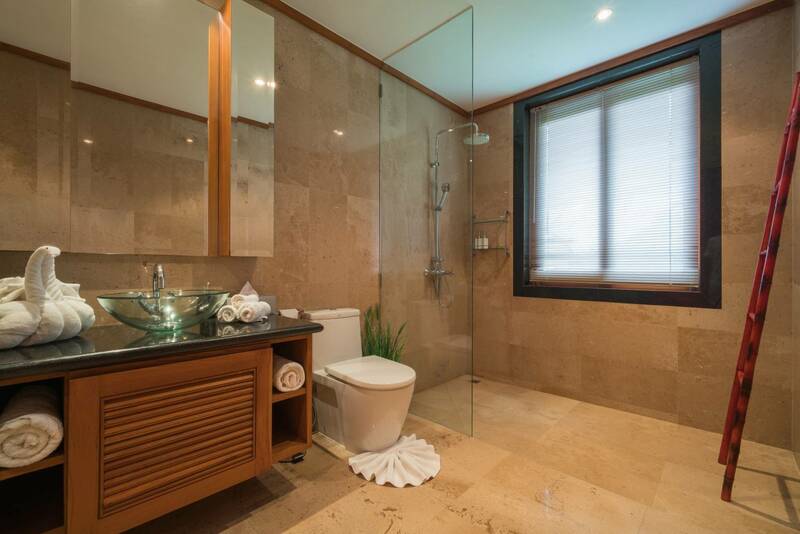 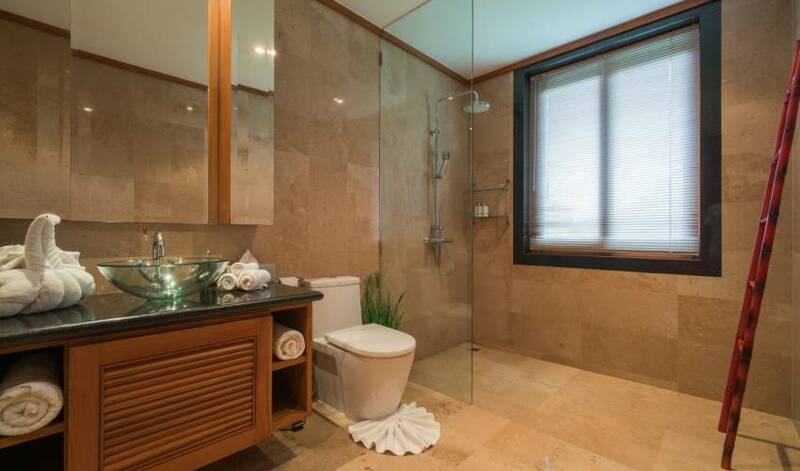 This suite has two ensuite bathrooms; an oversize indoor Jacuzzi bath that opens onto magnificent ocean views; a large his and hers walk-in wardrobe; and is decorated in rich hues of teak and silk panels. 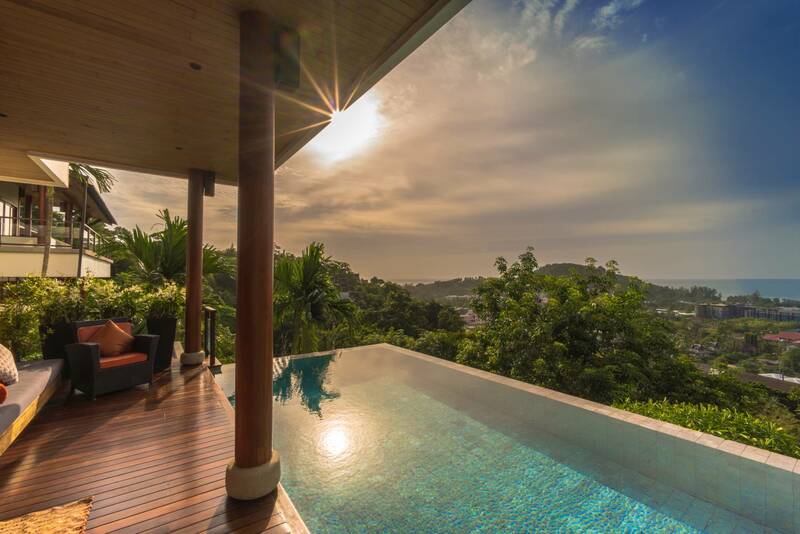 The top floor balcony is covered and is ideal for sunset viewing.